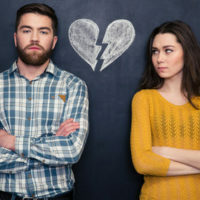 Divorce is a big decision that comes with big consequences, and understanding the legal process of divorce can at least mitigate some of the fallout of this decision. Divorce brings change to all aspects of a couple’s life, as well as their children, family, and close friends. Some people will feel compelled to choose sides or have a hard time adjusting to the new dynamics of the relationship. For the couple, the legal and emotional ramifications are long-term and permanent, to an extent, and while this decision may be best for everyone, the process of getting to the end of the marriage is not easy to navigate. Further, looking online, it can appear that filing for divorce is a straightforward process that simply requires submitting the necessary forms to the court. However, knowing what, when, and how to ask for certain issues is key to obtaining a favorable outcome, as is having a full understanding of the legal rights each spouse holds. An experienced divorce attorney is in the best position to provide this guidance, and an overview of the divorce process, including the major issues the couple will need to settle, or leave to a judge to decide, will follow below. Divorce, just like any other legal case, may only be heard by a court with jurisdiction, or authority, to decide the matter. Thus, similar to other states, Florida has a residency requirement that must be met before a divorce will be granted in this state. Specifically, at least one spouse must have lived in Florida for at least six months before the petition is filed. Residency is established through a physical presence in the state, as well as an intention to make Florida the person’s principal place of residency. Florida is a no-fault divorce state, meaning that it is not necessary to prove certain acts or behavior by a spouse caused the marriage to fail. Instead, the spouse filing for divorce is only required to claim the marriage is irretrievably broken. This makes it much simpler to obtain a divorce, as it reduces the need to produce substantial amounts of evidence to justify dissolving the marriage. In no-fault divorces, the focus shifts to settling the issues of the marriage, rather than the need to sever the union. Property division is one of the most important and contested aspects of divorce. Florida follows an equitable division model, which requires the division of marital property be fair, and the presumption is that an equal split is the appropriate allocation of assets and liabilities. This presumption can be overcome by presenting evidence an equal division is unfair, and the court looks at a number of factors related to the contribution of each spouse to the marriage, earning capacities, and the length of the union to ascertain the amount to give each side. In addition, child support and alimony are also part of many divorce cases. Child support is mandated by law for each parent, and the parent with less parenting time is typically required to contribute money each pay period to the other parent for the child’s benefit. The formula used to calculate child support is based upon the income and expenses of both parents and the number of children. Alimony, by contrast, is not a right, and may be awarded in cases where there is both a need and an ability to financially assist one spouse. Judges have large discretion on the type, amount, and duration of alimony, so an attorney should be consulted if this is a concern. Finally, child custody is commonly the most contested issue in divorce, but the parents will still be required to divide parenting time and decision-making responsibilities. Any parenting plan must be approved by the court, and the best interests of the child will determine whether an arrangement is acceptable. A responsible attorney will always keep you and your children in mind when guiding you through the process. The best attorneys are the ones that remember that absent unusual circumstances, each of the parents will have a continuing relationship with the children and the parents will have to still work together to some degree to raise the children. Decisions regarding this such as, school, religion and medical issues will still need to be made for the children. Without careful planning for these eventualities, the parents will have ongoing conflicts and anxiety even after the divorce. Divorce is difficult, but there is help with navigating the process of legally ending a marriage. The attorneys at Baginski, Brandt & Brandt understand the stress and challenges of divorce and can help you reach an outcome that protects your rights and serves your family. Contact the Port St. Lucie divorce firm today at 772-466-0707 for a confidential consultation.